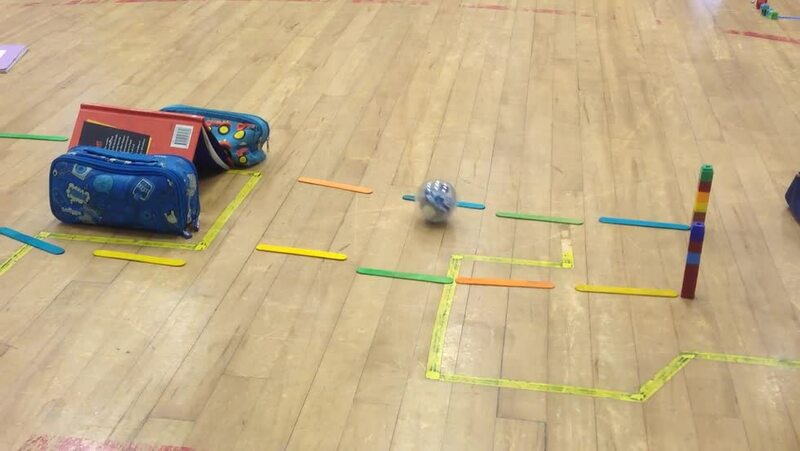 This morning we welcomed our friend Jennifer from the Nerve Centre in Belfast. 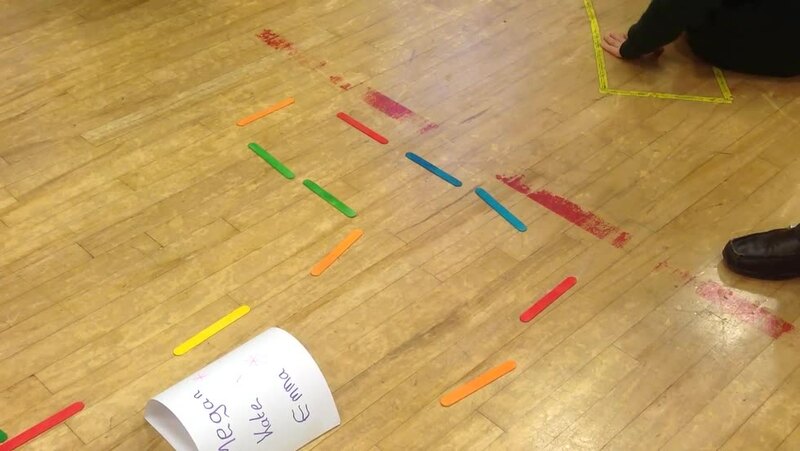 Today, she was here to visit KS2 and started her day with us in P6 and 7. 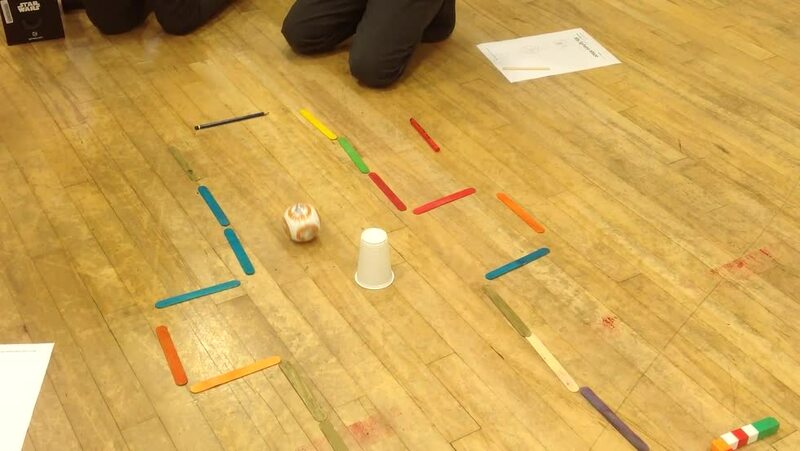 We had been very well prepared and, in our groups, had planned a route for our Sphero to travel. 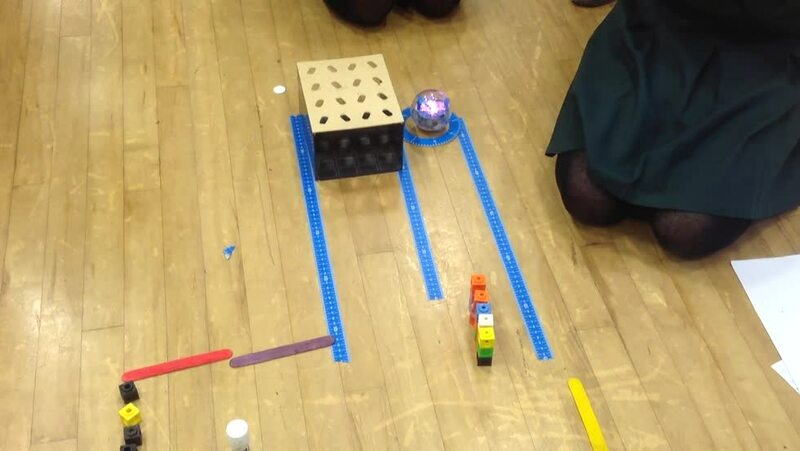 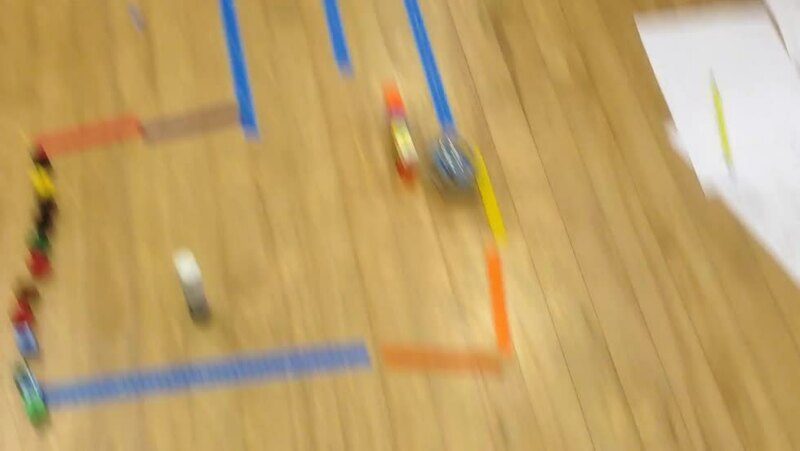 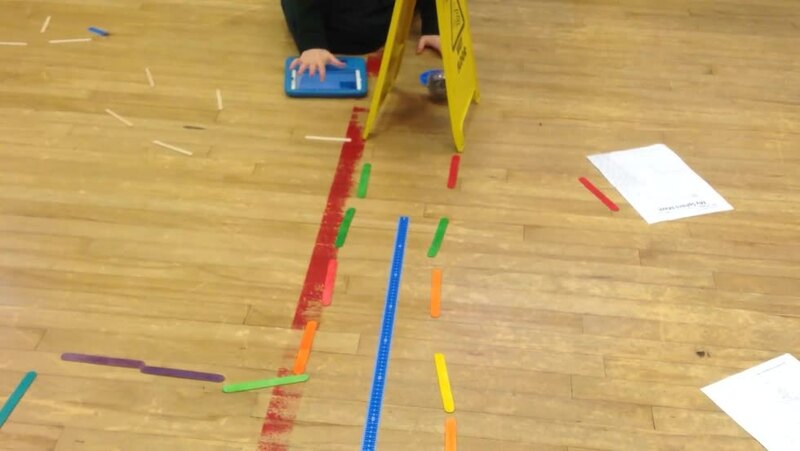 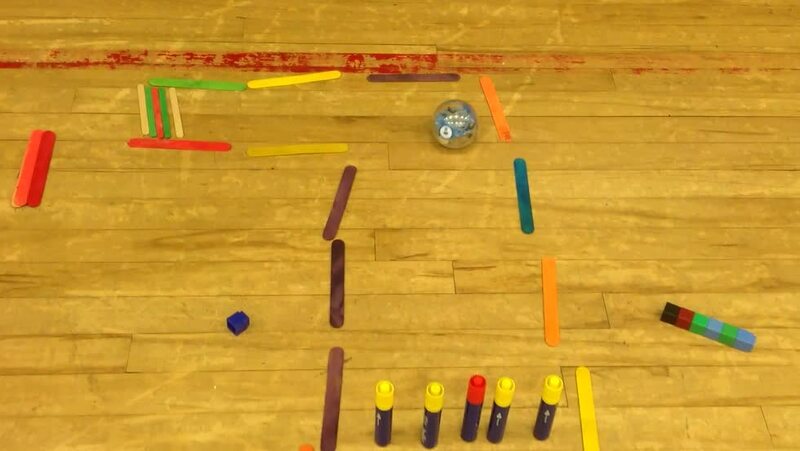 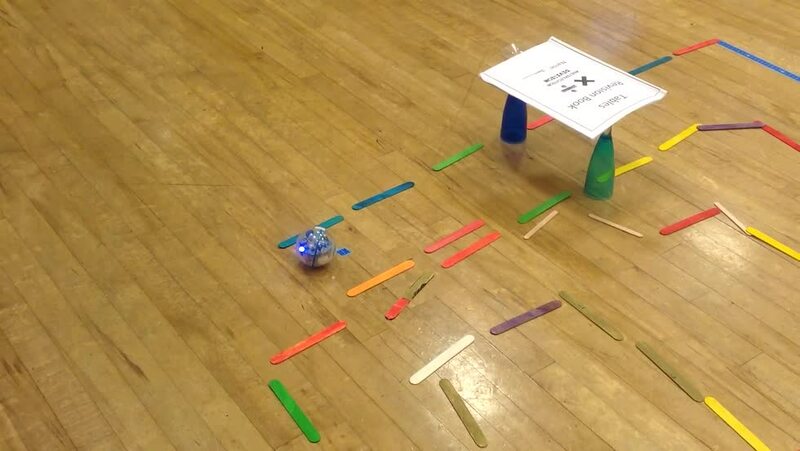 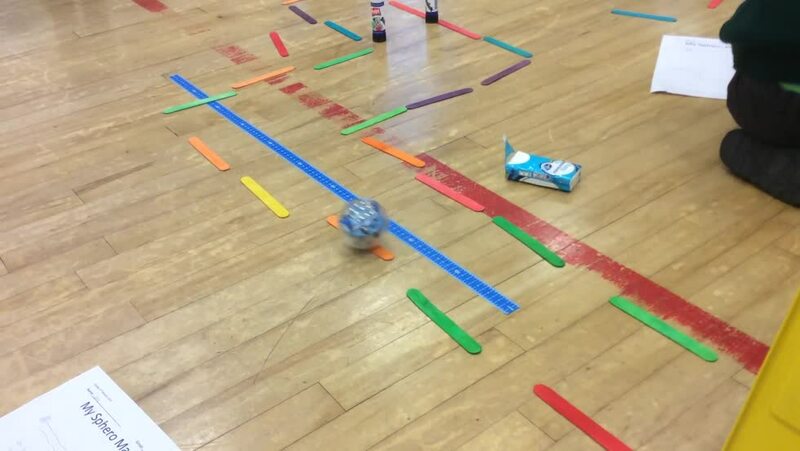 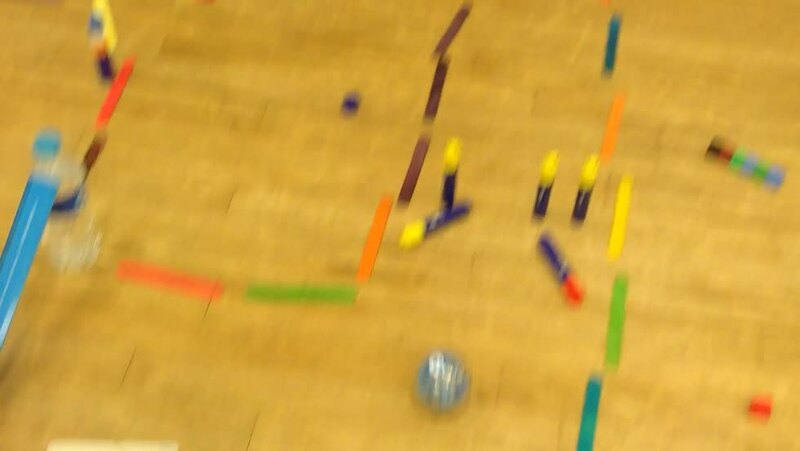 We brought our plans to life in the hall using measuring tape, lolly pop sticks, counting cubes and just about anything we could find and then we programmed the Sphero to travel the designated route. 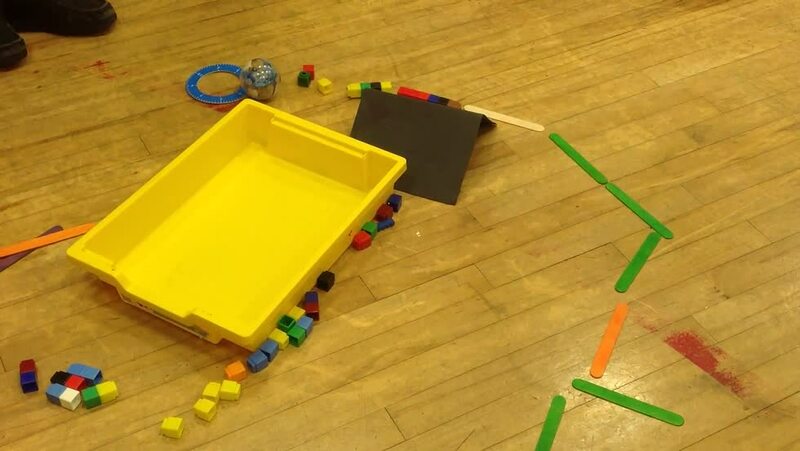 It is quite tricky to get it just right and it required a lot of team work and patience but we did such a good job and we had a lot of fun while doing this task. 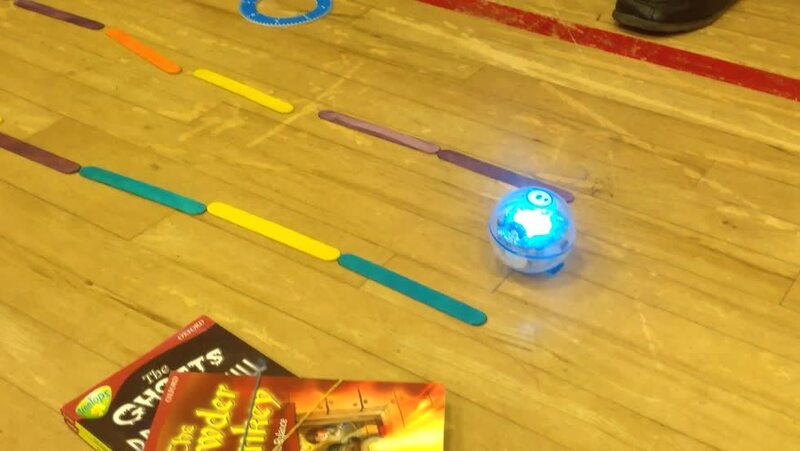 Thank you for spending your morning with us Jennifer!